Fluoride is in so many things – it’s purposefully made to be hard to avoid. Get a reverse osmosis water system if you can. 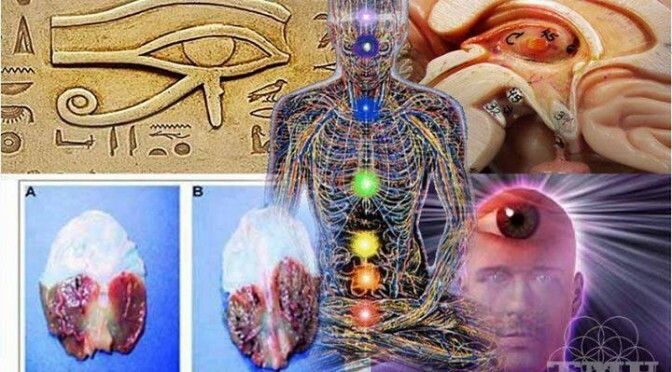 Drinking with tap water and cooking with it heavily calcify our pineal glands. Get fluoride-less toothpaste, and stay away from any sodas and artificial food. Garlic, ginger, cilantro, hemp seeds, coconut oil, kale or any dark leaf similar. Also raw cacao is incredible for this. Bentonite clay, colloidal sliver, noni juice and so much more! There are many different lists on the internet to check out. Bergamot, Lavender, Sandalwood, Frankincense, Pachouli, Spearmint, tea tree oil, eucalyptus, rose water, sage and soo much more! Essential oils stimulate parts of our brain and can help activate our pineal glands. Putting lemon in water and drinking it every day, not only helps decalcify our pineal glands but it’s incredibly healthy in all aspects. It clears your skin and helps balance your PH levels and can take years off your face! Garlic alone fights so many infections. It is a natural anti inflammatory, immune system booster and helps flush out the toxins in our body. The intense infusing flavors are so strong, it helps take the calcium off our pineal glands!